Usually when you see the words Apple and Samsung together, you can assume it's to do with court documents. Now, however, Apple has announced that certain Samsung television sets are going to come with iTunes and AirPlay 2 built in. It's not hell freezing over, it's not Apple offering "a glass of ice water" to Samsung customers and it's not as new an idea as it seems. There is something in humans that makes us want to take sides whether it's in politics or sport. This same thing once made many of us firmly pro-Apple and anti-Commodore, anti-IBM, and anti- a lot of other companies along the way. When there are two approaches to anything, it's not surprising that we find one of them suits us better and we like it. Still, few of us just like one thing, we tend to actively dislike the other in return. You saw it with Apple and IBM and you saw it with Apple and Microsoft. With Macs and Windows. Today, it's iPhones versus Android. And because Samsung is by far the most successful Android maker, you could've taken this news of Apple providing iTunes as some kind of crossing the barricades. It's nothing of the sort. Apple is really providing iTunes and AirPlay 2 to Samsung's customers, which means extending its own reach and using Samsung to do it. That's a business decision and whatever anyone thinks of the two companies, whatever legal issues have taken place, it's a cold, financial decision -- as it always has been. And we do mean always. Apple has forever worked to leverage its technology advantages and gain market share. In the mid-1990s it sold Macs such as the Quadra 610 that were even DOS Compatible. In 2007 when he was launching Apple TV, Steve Jobs repeatedly emphasized that it worked with PCs as well as Macs given that he had launched iTunes for Windows a few years prior. "I just choose the computer I like," he said. That was the same event where he launched the iPhone and at the time, this somewhat overshadowed something else that proved to be significant. 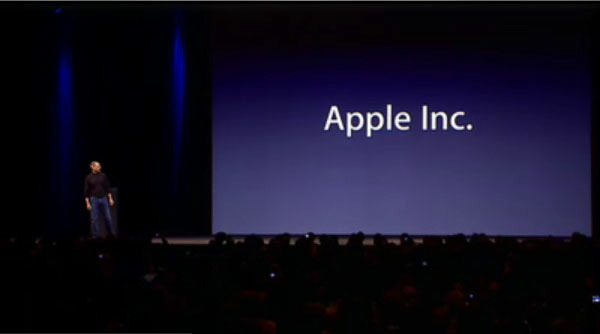 At the very end of his Macworld 2007 event, Jobs announced that the then Apple Computer would be renamed Apple, Inc. He said that the decision came because with the iPhone and the Apple TV, the Mac had become just one of the firm's four main product lines. There was also the iPod and you could call any of them a computer but you wouldn't. The Mac is the computer, the rest are consumer electronic devices. "We've thought about this... and we thought maybe our name should reflect this a little bit more than it does," said Steve Jobs. It was really the iPod that started the progression away from pure computers and you'll remember that the music player was originally only for Macs. It was when Apple added Windows support that it took off so you could argue that it was the PC that created today's Apple. More precisely, it was the company's decision to embrace other companies that did it. It's interesting to think what might have happened next if the iPhone hadn't become the juggernaut that it did. Perhaps Apple would've done more to embrace Windows. Certainly to get the iPod working with PCs, Apple had to write a Windows version of iTunes. That's what Steve Jobs described as being "like giving a glass of ice water to somebody in hell." You can be reasonably sure that Apple would have continued to do more about getting its software and services in front of PC users. It would have expanded its user base and grown as a company through doing more with other partners. Except of course it didn't have to. The iPhone's success meant that Apple was no longer a small company needing partners to grow its market share. The iPhone created a whole new market and one which Apple owned. Now it didn't need to be Windows compatible and the enormous success of the iPhone gave it all the growth it could manage. Yet even as it grew this new iOS market, Apple was still looking at Windows. 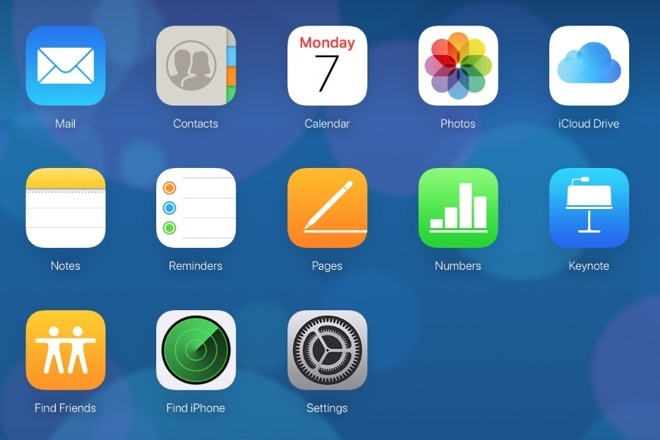 Back in 2015, it began making iCloud.com available to anyone, not just Mac or iOS users. That means Windows gets Pages, Numbers, Keynote and more. These weren't cut-down versions, either. They are the full applications and they work as well as the desktop Mac editions. Then if it's clear when Apple became a consumer electronics firm instead of a computer one, it's less obvious but no less certain that it has since moved on again. Apple is increasingly a services company and right now its biggest services are iTunes and Apple Music. It didn't develop those on a whim and it hasn't got them to the size, the success and to technical excellence without a plan. We've already seen Apple Music spread to Amazon's own Alexa hardware and will come to other smart speakers and now it's the turn of iTunes. Note that, significantly, it is iTunes that will appear on Samsung televisions, not Apple Music. We don't tend to talk about iTunes much anymore and it's not even shown on as an app on Apple TV anymore. Instead, we talk about Apple Music and iTunes has become a subset of that, at least for music. Apple is not putting Apple Music on Samsung TVs. Instead, it is very specifically putting on iTunes for movies and TV shows. It's also very specifically a Tizen app: just as it had to write a Windows application before, now Apple has written one that runs on Samsung's television operating system. That's taken effort and it's taken conscious decisions over what services to offer customers of which other companies. Apple couldn't realistically have put television onto Alexa but it could easily have put Apple Music onto Samsung television sets. It does always feel like a waste of electricity using a living room television set just for its speakers, Apple TV lets you do exactly that. Apple is choosing its partners based their positioning in the market and what customers are using these devices for. 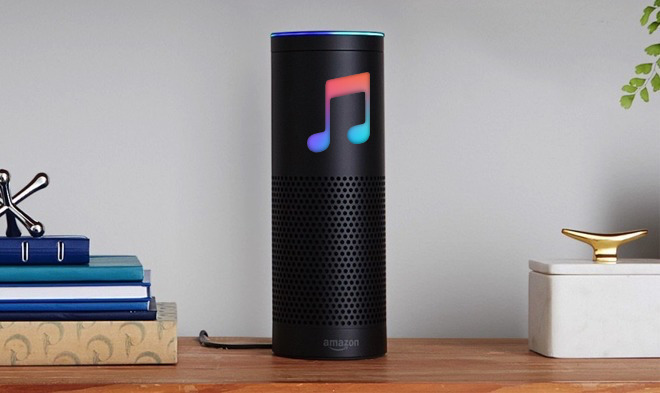 Even though the sound quality isn't as good on an Amazon Echo as it is on one of Apple's own HomePods, for instance, people are using it to play music so Apple wants a piece of that. And then surely the decision to put iTunes Movies and TV Shows on Samsung's televisions only begins with the fact that people watch Samsung televisions. Right now this move puts Apple's existing purchase and rental video service in front of people who Samsung are already offering YouTube, Netflix and Amazon Prime to. We may not know what Apple's precise reasoning for choosing particular partners is, but we do know that it is precise. Shortly after Samsung's announcement, a second smart TV manufacturer revealed a similar yet significantly different project with Apple. Vizio smart TVs will get AirPlay 2 and HomeKit support. 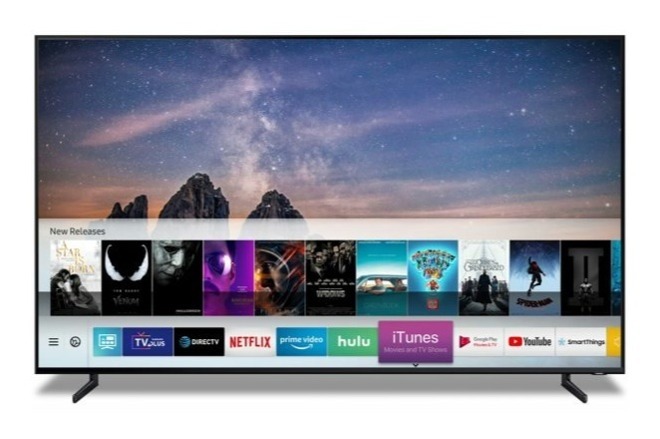 That means customers will be able to use Siri to control their devices via their Vizio TV set -- but they aren't getting iTunes Movies and TV shows. Similarly, Sony and LG announced AirPlay 2 support in various existing and forthcoming televisions but, again, they're not getting anything more. Or at least, they aren't right now. Apple's moves today are doubtlessly part of the company's plan for what comes next. We know that an Apple streaming service, a Cupertino equivalent to Netflix, is coming, so you can bet that it's going to be on these Samsung televisions. You can bet that it will be everywhere that Apple can get it. And that's regardless of who makes the hardware. One of the places that will obviously feature Apple's new streaming service is the company's own Apple TV. Yet as good as Apple TV is, it's an extra device to buy and an expensive one compared to its rivals. When your Samsung TV provides iTunes video built in and right there on the main screen's menu alongside Netflix, Hulu and so on, there has to be a question over who would buy Apple TV. There is the case that Apple TV is better designed and easier to use than your average television set's software. 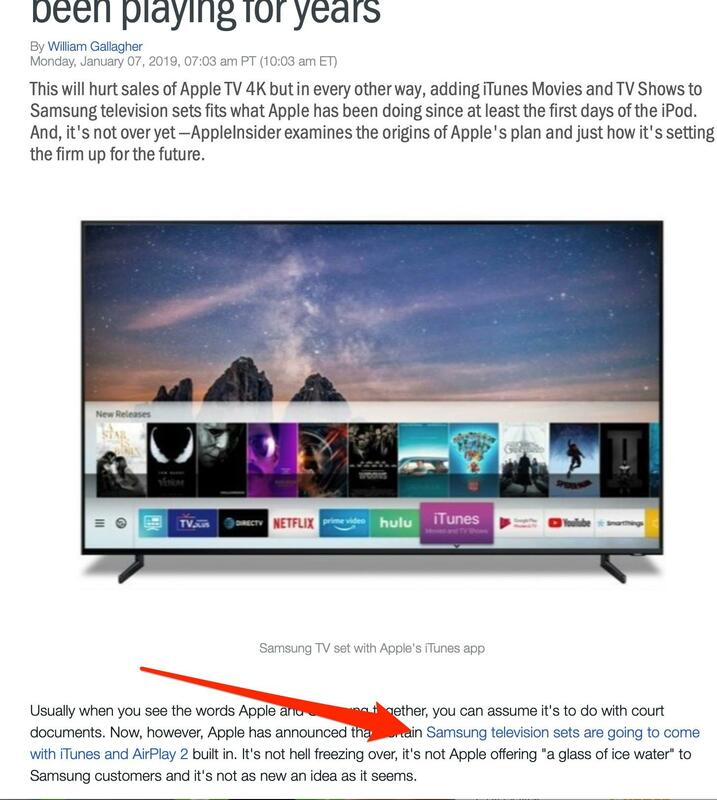 There is the case that Samsung's televisions have been known to gather information about you for advertisers -- seriously -- and you know Apple won't do that. So there are still reasons to buy an Apple TV, even if they're not as compelling as they were before. Maybe Apple figures that this is a way to reach people who would not have bought an Apple TV anyway. This could be an example of Apple being willing to cannibalise its own sales rather than let others do it for them. Samsung's and other televisions are already offering these alternative services so presumably Apple thinks it's better to be in that mix than to stand alone. That's going to be interesting to see play out but then so is whatever happens next with Apple's services. It does make tremendous hardware but it also makes some excellent software and the services side of its business is growing hugely. There will be other deals. Maybe we won't ever see macOS on inexpensive X86 hardware (legally, and above-board), but we will see the current Apple Music and the future Apple streaming video service reach out to more and more devices. Apple gets enormous credit for its hardware engineering and its software doesn't get enough respect. At times its software is more often pilloried -- such as when Final Cut Pro X dropped vital features and iCloud's predecessor MobileMe was so poor. Yet as much as we love Macs and iPhones, it's macOS and iOS that make them what they are. A business model for Apple that sees these tools and that software brilliance spread around more is a great thing, even if you're not a fan of the hardware that it runs on. The vast majority of people will use the apps built into their new TV anyway. Probably won't affect the purchase of Apple TVs in any measurable way. This piece is confusing. Was there another story announcing this? Linking to it in the first sent nice or paragraph would provide clarity and context. iTunes is such an outdated and confusing platform, needs a redesign and more features; like history, or continue from where you left off before you quit the app. You mean, one before the second paragraph of the story? As I posted in another thread... How much money is Amazon making off original content? People keep talking about growing services revenues. Apple doesn’t break down the components of services revenue but it’s a good bet the majority of it comes from the cut Apple takes on IAP. Secondarily would probably be things like iCloud storage, MFI licensing fees, Apple Care. All of those are tied to hardware. We’ve never heard in the past that iTunes was much of a money making business. Maybe Apple has these grand video plans that will blow everyone out of the water and be hugely profitable but I’m skeptical. I know Wall Street is obsessed with the services narrative but what good are services (as a stand alone product) for Apple if they’re not very profitable (if at all). Looking at Netflix’s last quarterly earnings filing their net profit was around $400M. And that’s off of a subscriber base of around 137M. What would Apple have to charge for its video service to pull in decent profits? Well, the video will cost what it costs to generate. Putting it in front of a larger user-base paying for it, by opening it up to non-Apple hardware is logical. The magnitude of it remains to be seen, of course. I continue to believe original content is wrong. Disney will launch their Streaming Services soon. Then there is Netflix, HBO, Amazon. Time will tell. I've argued in another post that Apple will eventually and finally enter into the TV set market. I think they will have to, but in the near term I wonder if this new "openness" does not portend a major overhaul of tvOS. It needs it. Maybe something with a launch screen, something akin to the DayView app that's out there right now. 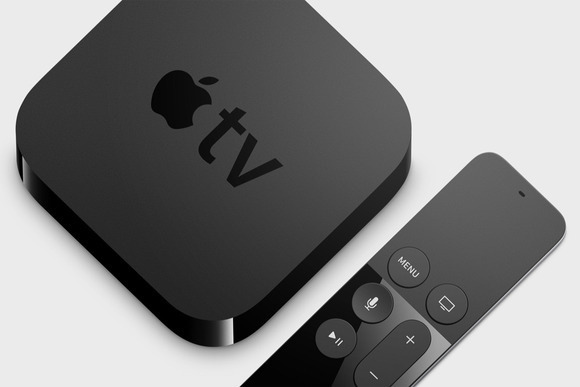 tvOS, of course wouldn't run on other devices or sets, making the current Apple TV a compelling option and laying the groundwork for a splashy entrance into the TV set market. I should add that they have to get their content out there before they push their own hardware for any of this to make sense. The iTunes app is a smart move, though, hopefully, that gets broken up before long and we see what's next. I assume the'll have to do something similar with Apple Books and whatever becomes of the Texture acquisition. I don’t disagree that it eventually would need to be cross-platform. I think it remains to be seen how profitable a business this will be. Netflix with over 137M subscribers is barely profitable. I’m still waiting for Apple to explain why being a media company is a good idea. Needing to grow services revenue isn’t an answer. It’s an end result but not a reason unto itself. It seems that what we are witnessing is a company that defines business strategy to chase its own share price and multiple; rather than a company who's strategy defines the share price. I may be wrong, but it happens to the best. Could be the same reason that cable companies bought media companies years ago. There seemed to be some belief that it would not only bring in revenue but add exclusive content, add to the customer experience, or just shine up their brand. Didn't pan out. Seems like Amazon and Apple are both trying to use their own media content to prop up their brand and keep customers in their ecosystem. It almost seems like they should be funded by the marketing department. Is Amazon making a bunch from their content? Probably not. Are they making any $$ from offering HBO or Starz channels? I doubt it, but have no idea. The game seems to be luring everyone to their respective platforms, while offering access to the content of others where feasible. How long before Netflix only offers original content. Expect more Disney+ initiatives in the future. There will be a plethora of ways to access that content, what makes the Apple experience different? Maybe its part of some larger media package that just more enjoyable on their native hardware? Anyways, I think its all about keeping the consumer in the fold, and I think Apple wants to achieve that through hardware, software, and services. Putting iTunes in its current form on third party devices is okay as a baby step but it also a bit messy and clumsy because iTunes has an established legacy and some customers will be confused. Someone's going to ask how to connect their iPod to an iTunes enabled TV to sync their music. Apple really needed to dissect iTunes into modular component services so they can be easily deployed in a more logical manner. Consider device management: They cut out most of the end-user focused device management features and services from iTunes a couple of years ago without providing a logical home for the features and services that still exist. Managing every device as a single isolated entity just doesn't sit well with me. In my opinion, the resulting "homeless" ad hoc device management features and services should be re-homed into HomeKit. I'm not proposing that HomeKit be cast as an MDM platform, but rather that it serve as a grouping/homing/personalization platform for allowing end-users to manage all of their connected HomeKit compatible devices, including macOS and iOS devices, and the resources that are associated with these devices. For example, if you have a HomeKit compatible security camera why not use HomeKit to associate recorded snapshots and videos with your HomeKit group - while using a chunk of your iCloud storage to store the recordings. Likewise, the other remaining services in iTunes, like movie and TV purchases and rentals, should be excised from iTunes and re-homed in Apple branded service stacks in a similar way that Apple Music has become, or comes closer, to being the music hub for Apple's music related ventures. It would have been nicer or at least cleaner if Apple got everything neatly arranged before they started licensing their services out to other hardware vendors. The reality is that iTunes should no longer exist, so seeing its legacy continue on a new platform is strange even though it may provide some incremental revenue opportunities. More likely, iTunes on TVs will serve as a stand-in for what's coming next, and then it will go away. Is Amazon making a bunch from their content? Probably not. Are they making any $$ from offering HBO or Starz channels? I doubt it, but have no idea. I think it's nearly assured that Amazon is getting a cut of the HBO and Starz subscription, even if for a limited time, if it originates from their service. Same with Roku and YouTube TV. Amazon is getting a cut from all the Prime Channels. They are actually making a nice profit for really not doing much. Revenue from Prime Channels was close to $2 billion in 2017. After giving HBO, Showtime, etc their cuts, I'm sure Amazon is still pocketing over half a billion. Content helps sell hardware. Amazon creates content to generate interest in their platform and hardware. Apple wants a video streaming service to increase the value of their ecosystem, thereby increasing the value proposition of their hardware in order to sell more. Adding their app to Samsung and LG TVs makes sense to reach a larger customer base, much as they did with iTunes back in the early aughts. They figure it will increase the reach of their services and broaden the customer base. I’m not sure how Apple content on other people’s hardware sells more Apple hardware.